Most homeowners can DIY a few things but for the most part, we rely on contractors to tackle everything from major repairs to remodeling. This can make us vulnerable to scammers who take our money and trust to the tool shed. Watch out for these common scams. Jozef Sowa/ShutterstockNatural disasters can wreak havoc on homes, leaving distressed homeowners desperate to get theirs in a livable condition again. Shady contractors see this an opportunity to scam vulnerable homeowners. “Unfortunately, opportunists pop up after natural disasters, and offer to fix things like mold in flooded basements,” says Aaron Task, Vice President/Editor-in-Chief of Experian Consumer Services. “For distraught homeowners, this kind of offer can look like a blessing, especially when other companies are busy with a long wait list for service. Usually, their work is second-rate and by the time you discover the problem, it’s too late. They’ve already left with your insurance money, and you have to pay another crew to fix their mistakes.” Watch out for these other natural disaster scams. iMoved Studio/ShutterstockA contractor knocks on your door with great news! He just completed a job for one of your neighbors and has some leftover supplies and can offer you a great deal on a new project. The contractor must have impeccable timing because you wanted to build a deck but it wasn’t in the budget until today! “Reputable home improvement companies don’t just wander around neighborhoods trying to find customers to pawn off their extra materials on. The contractor who tries this trick is hoping you’ll fall for a good deal without checking their credentials,” cautions Task. You’ll probably end up with a deck that is poorly built or they’ll take your money and run. Here are the secrets to finding a trustworthy contractor. urbans/ShutterstockMold, especially Stachybotrys, the toxic black mold, is some scary business. It sure would be nice to know if you had it lurking in your home—especially for free! And wouldn’t you know it, the “inspector” finds mold and he can remove it right then and there! “Unfortunately, this contractor is likely not a mold removal specialist. These people make a living convincing people there’s a problem and then immediately promising to fix it,” says Task. Your house may not even have mold, but if it does, mold remediation takes special tools, in-depth assessment, and usually more than a day to remove. He may be scouting your house to rob it or trying to get you to commit to paying immediately to scam you out of money. baitong333/ShutterstockSure, you expect to pay a deposit to get your home improvement started but how much do you really need to pay? 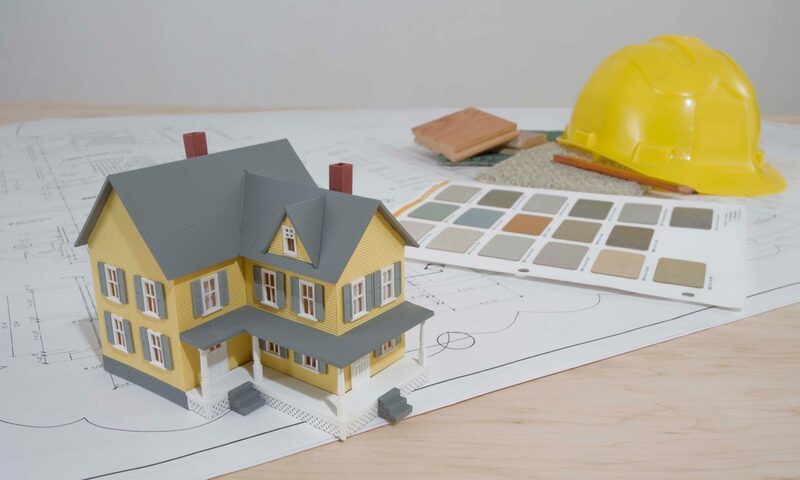 “One of the most common scams we see is contractors asking for large upfront payments or deposits that exceed state maximums,” says Gregg Cantor, President/CEO of Murray Lampert Design, Build, Remodel. “In California, for example, it is illegal to ask for or accept a down payment of more than 10 percent of the total home improvement contract price or $1,000, whichever is less. In Maryland, deposits cannot exceed 1/3 of the contract price,” says Cantor. Check with your state licensing board to verify the maximum deposit amount before you write a check. This deal is too good to pass up! veryulissa/ShutterstockDid you know your roof, door, or window was in dire need of an upgrade? Apparently, the salesperson who is at your door thinks so. And as luck would have it, the salesperson has a special “limited time only” deal. But still, you’re not sure, so you pause to ponder. Suddenly, the price gets a lot lower and because it’s so low they can only offer it to you so if you don’t take it right that second, you’ll miss out. The sense of urgency is the game. “These tactics are meant to frighten you into signing immediately by instilling the fear that you will miss out if you don’t act fast,” says Cantor. “We’ve heard of cases where contractors will take all or some of the agreed upon amount upfront, perhaps complete some of the work, but fail to finish the job. In other cases, the work might be completed, but the quality is almost always below that of reputable remodeling companies,” says Cantor. I Believe I Can Fly/ShutterstockProps to you for getting a couple of bids before you dive into your project. If you receive a really low or really high bid from one of the contractors, it could be a red flag. “While low bids might be tempting, a contractor offering a bid that is more than 15 percent below other bids either doesn’t completely understand the extent of your project, or they’re purposefully low balling the bid as a strategy to lock in the job, only to tack on additional costs once the work gets started,” warns Cantor. A high bid could be an indicator you and the contractor aren’t on the same page with your vision and budget. Here’s what contractors wish first-time home buyers knew. David Papazian/ShutterstockIt’s hard to believe in the digital age people still attempt to sell services by going door-to-door. “Most reputable home improvement companies rely on word-of-mouth referrals, project portfolios, community connections, and other scrupulous means of earning your business,” says Cantor. But you may get the occasional door ringer from a reputable company too. While Cantor says you can view these with less skepticism than an unknown contractor he still recommends doing your due diligence. “The main takeaway here is that there should never be any pressure to buy something or sign a contract when the homeowner isn’t 100 percent ready,” says Cantor. pan_kung/ShutterstockYou know how it goes, once you start a project, other ones reveal themselves. Or, maybe you decide to do an upgrade since the contractor is already working on a project. The contractor is onboard with your ideas and even makes some suggestions. Super! You’re on the same page—until you get the bill. “You’re surprised when the contractor says those upgrades weren’t included in the price and that you’ll have to fork over more money for them, ” says Justin Lavelle, Chief Communications Officer for BeenVerified, an online source for backgrounds checks and contact information. Paul Orr/ShutterstockYou trust your contractor knows how much wood, tile, or flooring they need to get the project done so you’re probably not going to notice the extra materials being loaded back into the contractor’s truck to sell to someone else. So, you end up paying for materials never used. “This may lead a contractor to take the excess tile (or other materials) to another project and offer it at a cheap price since the tile is already paid for. The contractor is making money as a result of overcharging the first homeowner and charging the second homeowner for tiles that have already been paid for by the first homeowner,” says Monica Higgins, remodeling expert, and author of Remodel Success: Home Remodeling Done Right, On Time and On Budget. Parilov/ShutterstockWhen my giant silver maple tree lost a rather large limb during a storm, I called a couple of tree services to get estimates to remove the limb. The first “tree guy” to show up said my maple trees were dying and he would be glad to cut them both down for $5,000. And by the way, the neighbor’s small dying trees cascading over my fence could be removed too. He said he would charge them $600 and give me $300. “Any time a contractor offers you a way to pocket the difference on something like that, it’s a red flag for sure,” says Cantor. The second “tree guy” was an arborist. He said my trees weren’t dying and even showed me how to take care of them better. He removed the fallen limb and chopped the wood for our fireplace for $150. Only consider contractors who have a performance surety bond, which will protect the homeowner if the contractor fails to complete the job. If this happens, the homeowner can file a claim on the bond and recoup their losses. Before signing a contract or putting down a deposit, verify the firm’s credentials by checking their state license and bonding status, asking for proof of insurance, and visiting the Better Business Bureau website. You can also ask friends, family, and neighbors for referrals or use sites like Nextdoor, Yelp, or Angie’s List to get reviews.